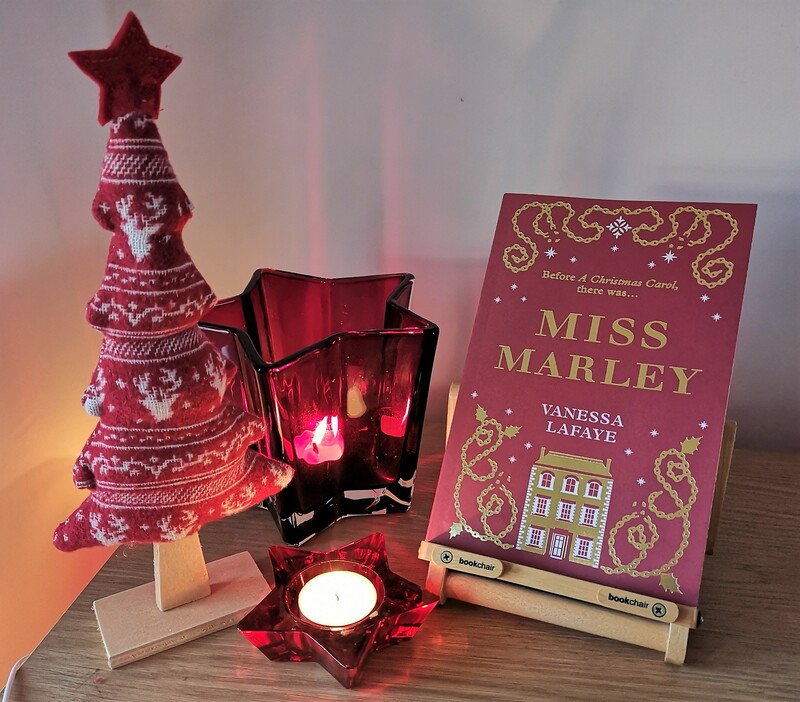 “An enchanting, seasonal tale of kindness and goodwill, Miss Marley is the last book written by the late Vanessa Lafaye, lovingly completed by her friend Rebecca Mascull. I’ll be starting off today’s blog with a confession. I am not a huge fan of Charles Dickens. It’s not that I dislike the stories or books, but I’ve just never truly gotten into any of them. Part of me feels like I’m missing out but the other part thinks life is way too short to be struggling on with books I’m not particularly enjoying. I asked for an ARC of Miss Marley because I love Christmas and, quite honestly, the cover just called out to me and I am glad it did. Regardless of whether you have read A Christmas Carol or not, most people will know the name Ebeneezer Scrooge, and the ghost and spirits he is haunted by, including that of his former business partner Jacob Marley. This book sets out to explore the beginnings of Jacob Marley and the events that led to his demise. Lafaye takes an interesting approach by not making Jacob the main protagonist but by inventing a sister, Clara Belle (some artistic licence on Lafaye’s part, not that of Dickens). Through Clara’s eyes we see their family’s fall from grace by the death of their parents, and the struggles Jacob and Clara face in order to get off the streets and rebuild their lives. Considering this is a novella (and therefore not very long) this book is complex. There is a fascinating dynamic between Jacob Marley and Ebeneezer Scrooge. There is an intense connection between the two, but I can’t quite work out if it is mutual affection, a mutual love of money, or both. Part of me wanted the book to explore this further but I’m glad it didn’t as it is an interesting discussion point. There is also the question of Jacob’s attitude and outlook on life. He claims that he does whatever it takes to look after himself and Clara, even to the detriment of others, due to their tough start in life. He never wants them to be in poverty again but has no qualms with destroying the lives of others in the process. At the start I felt pity for him but by the end of the book that had totally gone out the window. You’ll have to read it to find out why (no spoilers here). This book is loving, tragic, and wonderful. Even days after reading it I kept thinking about it and I feel like if I read it again I’d pick out more and more subtle elements to explore. However, there is one element of this book that is its shining star. Sadly, Lafaye passed away before completing the story. Her friend and fellow author, Rebecca Mascull, was invited (with Lafaye’s family’s blessing) to complete the book and you honestly cannot tell. I obviously knew that the authors changed towards the end but I couldn’t tell where. It wasn’t until I read the Afterword by Mascull that I knew where she picked up from and even then it wasn’t obvious. Mascull has done Lafaye’s book justice and that is the most beautiful part of the whole story. An enchanting start to Christmas reading. Thanks to HQ for providing a copy of this book in exchange for an honest review. If you’d like to purchase Miss Marley it is available from Amazon UK* and Book Depository**. I receive a small percentage of purchases made via affiliate links at no cost to you. This helps to support my blog and is greatly appreciated. I like Dickens and A Christmas Carol is one of my favorites of his. This is an interesting concept for a story. I will try to check it out. Thanks for the post.